Continuing the trend of the past few years, 2018 saw a plethora of restaurant openings. But more so, it saw an increase in diversity, from family-owned Asian restaurants to South American and Georgian spots, as well as a host of new wine bars that double as restaurants, and even the return of some old favorites. As we gear up for another slate of openings in the new year (and there will likely be a lot), here are our picks for the 13 best spots that opened in Portland in 2018 -- two of which, Canard and Kargi Gogo, were called two of the best openings in the country. Chef Gabriel Rucker was already a Portland culinary powerhouse, with his lauded French/Northwestern inspired casual fine-dining spot Le Pigeon, as well as its slightly more low key sister bistro Little Bird. Canard, the cafe/wine bar does not disappoint, as incredible dishes hit the marble counters and tables all day. Cinnamon swirl toast, breakfast sandwiches, and shrimp toast Benedicts rock the breakfast menu; gorgeous fried chicken sandwiches make for an amazing lunch, and evening items include the sumptuous foie gras dumplings and beautifully roasted carrots. 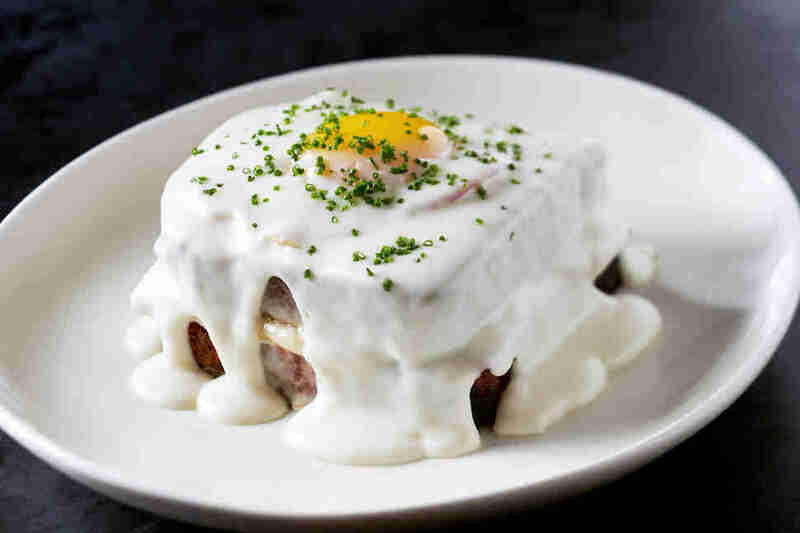 The duck stack, offered all day, is an accomplishment: pancakes topped with duck gravy and beautifully fried eggs, it’s rich and slightly sweet without being overly-indulgent, and is worthy of the attention being heaped upon it. Other standouts include the poundable steam burgers, marvelous fried chicken wings, and the surprisingly healthy quinoa veggie bowl. It’s really no wonder this place ended up on our national Best Restaurants list. Cafe Castagna, the casual bistro version of the fine dining establishment Castagna, shocked the city when it announced it would be closing up to rebrand as a new spot. Months later it reopened as OK Omens, a brighter, cozier wine bar, with Castagna’s own chef and owner Justin Woodward taking over the menu. 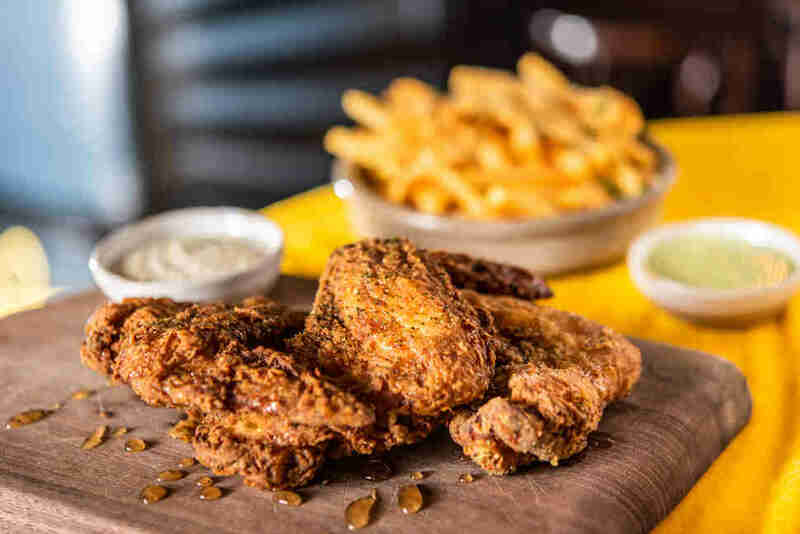 The kitchen puts out a reserved list of playful bar food to pair with the shockingly low-priced wines, including some killer fried chicken (go ahead and add some caviar to it for $30, why not? ), burnt beets that might convert even the most ardent beet-hater, and cheddar beignets, which might just be the best little dish to pair with wine ever. While the beloved Castagna burger is gone, its predecessor is sure to satisfy all, but the most nostalgic diner. 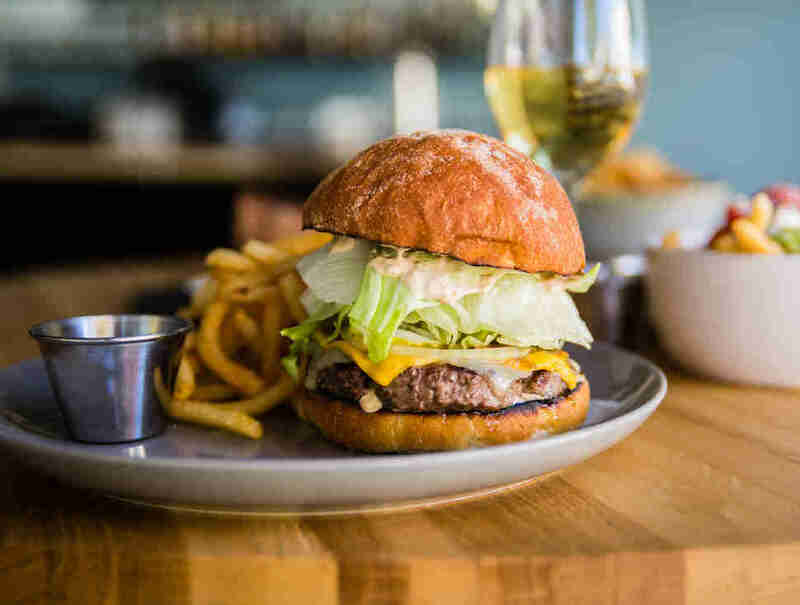 OK Omens provides a way for Portlanders to sample food from one of the city’s most beloved chefs without breaking their budget. Another wine bar companion to a restaurant, Enoteca Nostrana, attached to the lauded Italian restaurant Nostrana, manages to craft its own separate identity with its food; the focus is on shareable snacks to try with the robust wine list, including a seafood plate with items that are always rotating and always stunning. A seasonal burrata dish is worthy enough for a visit, and because it is still helmed by luminary Cathy Whims who helped place Portland on the map of Italian dining destinations, the pasta dishes should not be skipped; while you’ll have to drop in next door for the famous tomato butter pasta, Enoteca offers a fun “build-your-own” pasta dish. 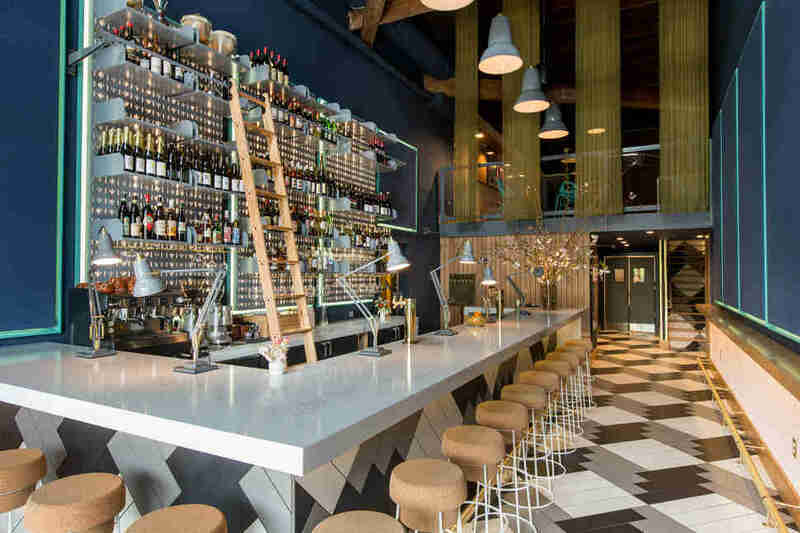 Housed in a modern, plant-filled space with gorgeous seahorse wallpaper, Normandie has introduced Portland to a brand new style of French cuisine -- that of the coastal region of its namesake, Normandy. Though it by no means limits itself to anything “traditional.” Instead, it plays with ingredients both global and local, with smaller, shareable plates that form a cohesive identity out of a seeming mishmash of inspirations. 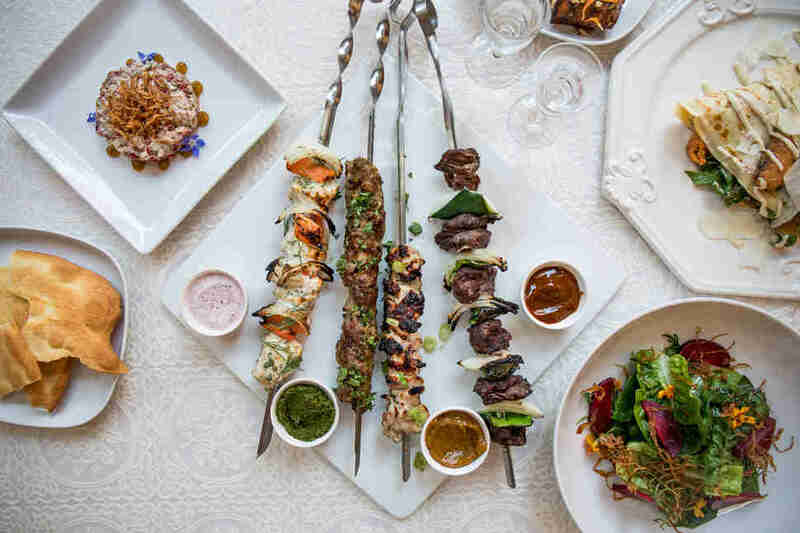 Guests can find oxtail croquettes with gochujang; crispy pork belly with brussels, thai basil, and fish sauce; or sauteed shrimp with mint yogurt and Aleppo Dukkah. Dishes often veer rich, like the duck fat Madeleines with chicken liver mousse, but are helped out by the bright cocktails, often made with Calvados apple brandy, a spirit straight from Normandy. Portland’s newest Indian restaurant Bhuna started its life as a pop-up restaurant serving photogenic, and delicious, rice bowls each week at Culmination Brewery. Now, it’s in a brick and mortar as gorgeous as the food in the Northwest Alphabet District, with an expanded menu of fast, casual Kashmiri cuisine, and vivid drinks. Besides the rice bowls, which include choices like goan pork vindaloo or Kashmiri tomato and eggplant, the menu boats a retinue of vegetable sides, including its signature lotus root fries and seasonal vegetable pakoras. 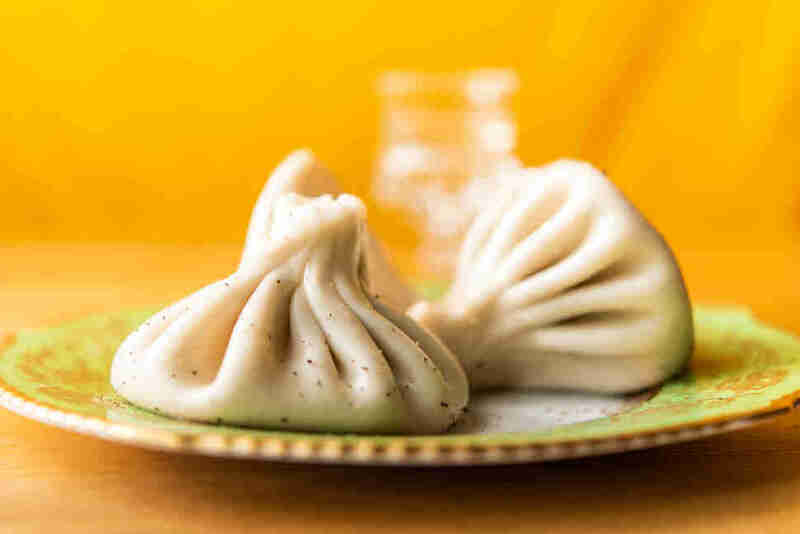 Another in the long line of cart-to-restaurant success stories, Kargi Gogo is a Georgian restaurant -- the country, not state. 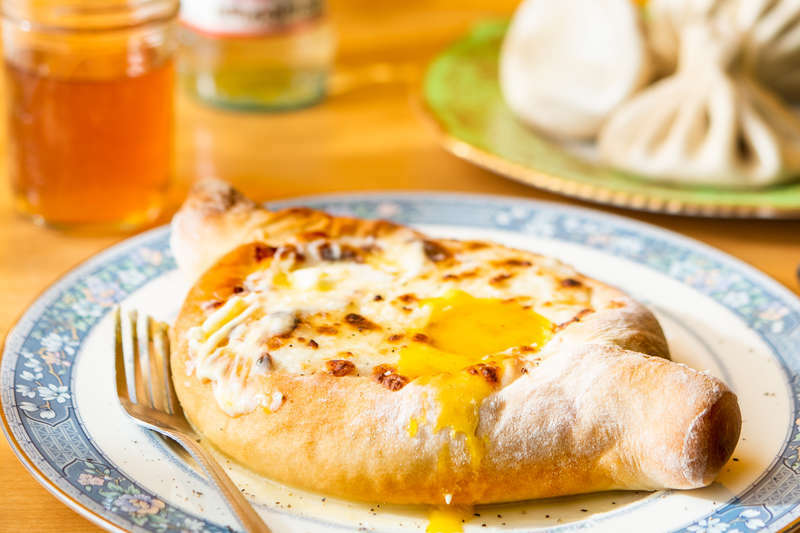 The restaurant primarily focuses on two things: Khachapuri, a cheese-stuffed flatbread often with an egg, and Khinkali dumplings, little pockets of dough stuffed with a variety of tasty fillings. What it lacks in options (though there are a variety of both and some sides), it makes up for by delivering delicious examples of both, making it a hot destination for those looking to share some Eastern European food with some Georgian wine. It’s not often a fast food joint gets the recognition that Super Deluxe has gained in the six months since its opening, but most fast food restaurants aren’t run by Portland culinary giant Micah Camden. 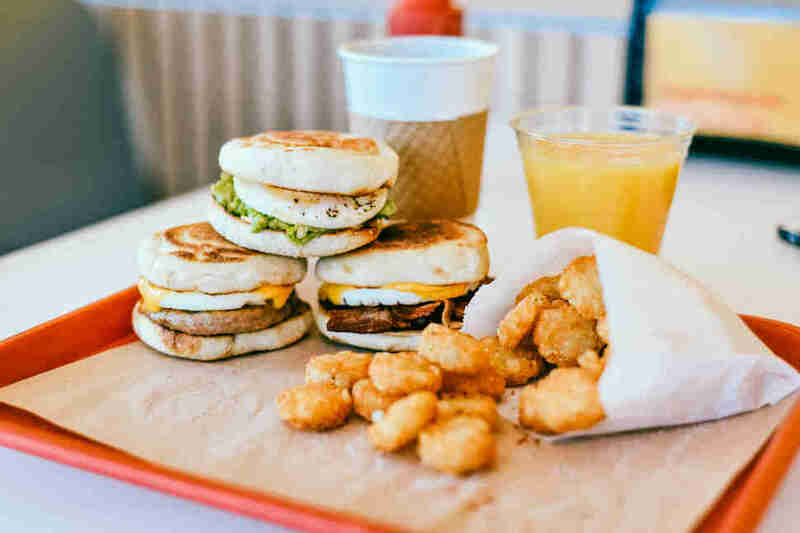 Super Deluxe, which serves a very slim, basic menu of cheeseburgers, fries, sodas, chicken nuggets, and some breakfast sandwiches, has been packed since day one, with cars bumper-to-bumper in the drive thru. Everyone is eager to get their hands one what is often described as “Portland’s In-N-Out” or even “better than In-N-Out”. Oddly, it’s also the cheapest spot to grab an Impossible Burger in town, which makes it a destination for vegetarians, too. 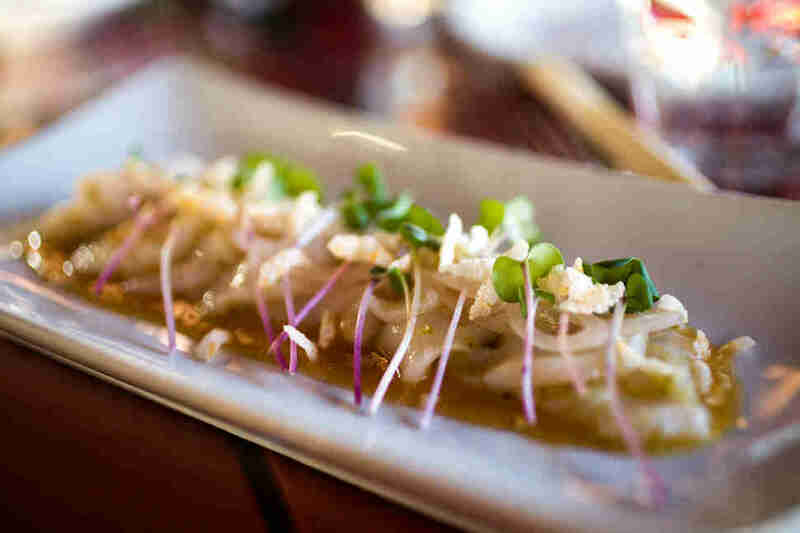 Portland’s Peruvian scene just got a lot better with the addition of Casa Zoraya to the Kenton neighborhood. 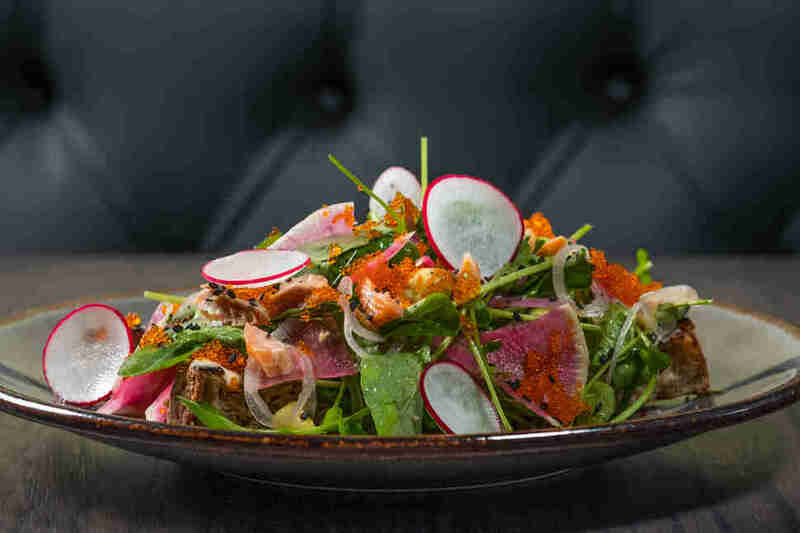 The family-owned restaurant puts out some of the most vibrantly colorful dishes in town, most of which are built around the fish of the day, whatever that might be, and the vivid ceviche plates are the star of the show. Dishes like grilled chicken with potato in Huancaína sauce or lamb and garlic rice with spinach and cilantro sauce wow equally with visuals and taste, while the menu is rounded out with a selection of Peruvian cocktails, most of which are a variation on the Pisco Sour. The restaurant also boasts a unique Peruvian brunch, a nice break from the eggs, bacon, and fried chicken that dominate the Portland brunch scene. Portland may not have the strongest Chinese food scene, but places like Master Kong, which landed in May out on 82nd, are doing their best to change that. The husband-and-wife run restaurant is primarily Guangdong and Northern Tianjin cuisine, and focused more on breakfast and lunch than dinner. What that means is delicate dumplings, fluffy steamed buns, rich congee, and delicious jianbing, a sort of stuffed Chinese crepe that seems to be the rising trend in Portland. Visit the little counter-service spot and you’ll likely hear multiple languages being spoken as guests go crazy over the flavor-packed little offerings. It’s cheating a bit, as the Russian superstar Kachka has been open for years in Portland, but 2018 saw the restaurant move out from its cozy little digs on Grand and into the much more spacious room just a few blocks away on Morrison, filled with vintage rugs, carved chicken feet pillars, and wide windows for natural light. The change came with an expanded menu that saw shashlik skewers, more blini, and more khachapuri added alongside the beloved dumplings and herring under a fur coat, plus lunch hours, which means even more time to enjoy one of the city’s most influential restaurants. Portland has no dearth of good Vietnamese restaurants, but that doesn’t mean we won’t welcome a new one, especially when it’s as well-executed as Anchoi. The new restaurant moved into a previous Vietnamese place’s spot at the Portland State campus, but revamped the space with a sharp modern setting, a craft cocktail menu, and a large menu of Vietnamese standards, all made with high-quality ingredients but priced reasonably, striving both to bring in college students and local workers for lunch, as well as the downtown crowd for happy hour and cocktails. 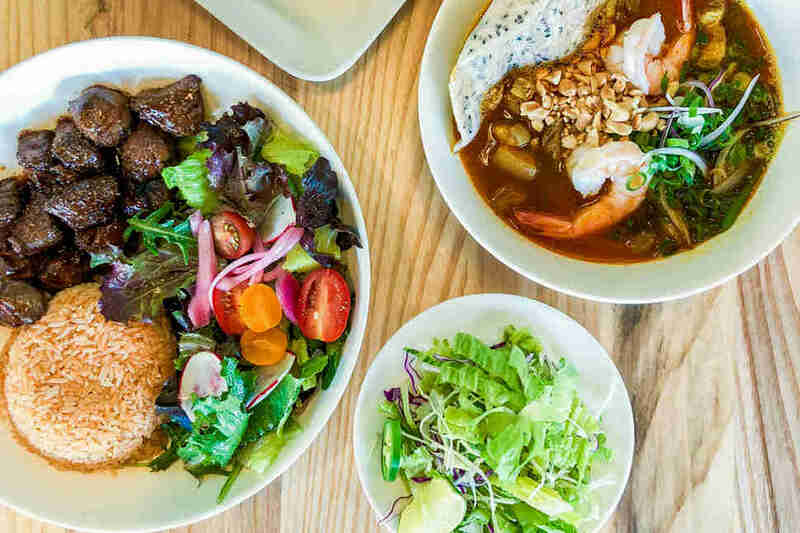 Guests can find steaming rice bowls with spiced meats or light and fresh vermicelli noodle bowls, while the pho, banh mi, and chicken wings can stand up to any other place in this competitive city. Add to that the array of classic cocktails with an Asian flair, and it’s a reliable spot any time of day. First it was the German restaurant Grüner, then briefly a small plate, high-concept restaurant Superbite, but now the third time's the charm, as Bistro Agnes, one of the first restaurants to open in the new year, is going strong with its deeply rooted French cooking. Eschewing French “influence” for more straight-forward French cooking, albeit with Northwestern flair and modern techniques, Bistro Agnes is the place to go for dishes like coq au vin, beef short rib bourguignon, and salade Lyonnaise, with a robust collection of French and local wines to pair. Don’t sleep on lunch here, either, though you might need a nap after downing a full croque madame or steak frites, especially if you paired it with some wine. All of it is served in a sapphire-hewed dining room that mixes vintage charm with modern style. The return of Johanna Ware’s lauded “inauthentic Asian” restaurant Smallwares came as a joyous occasion to many Portlanders, even with the existence of the slimmed-down counter service Wares. 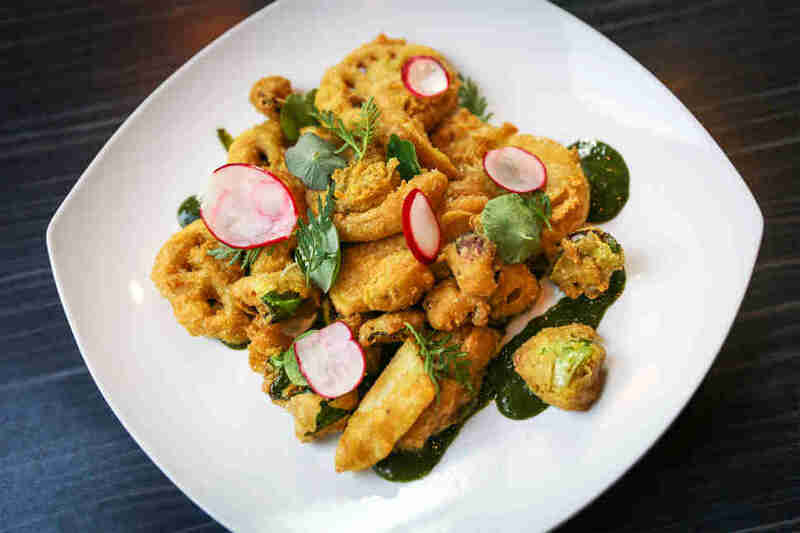 Once again, diners can revel in the umami and spice-packed dishes from the fish sauce oysters to the yuzu brown butter and miso scallops, kimchi pancakes to fried kale with bacon. The new, smaller, eclectically decorated space serves the restaurant a lot better than the two-roomed original, and this new incarnation comes with the added benefit of a brunch menu. Keeping up with Portland’s restaurant openings is a tough job, but someone’s gotta do it. Follow Thrillist contributor Alex Frane at @franiacdrinks for more updates.